Planning a trip soon? Making endless visits to the offices of travel agents? Well, if you own a smartphone, you don’t need to fret anymore. The digital world has made the world your oyster. The top travel apps have your back at every step of the way. From the booking of your flight to your stay, all of it has now become as simple as a tap! There is a never-ending list of the best travel apps that can make your life unbelievably simple. 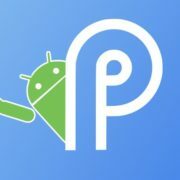 Does this app even need an introduction? Right from ten-year-olds to senior citizens, this app has now become a necessity rather than a luxury. With the help of this app, you can find any nearby or far location, the route between two points on a map. You can even have a rough idea of the traffic at a place. What’s more? Google has now come up with a lucrative offer that provides you the option of saving a map and using it later at nil data cost. 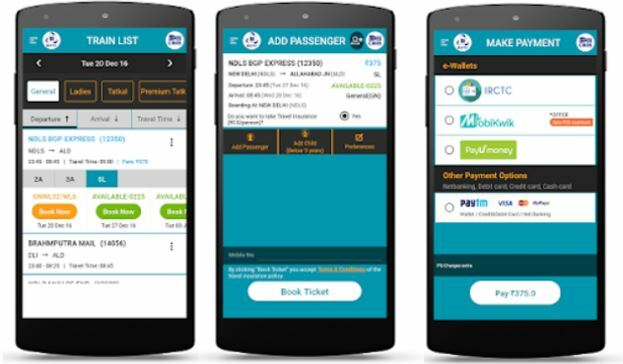 In 2015, IRCTC made the railway booking system easier than ever by launching its first ever mobile app. Now, leave alone queues you don’t even need a mobile or a PC to book your railway ticket. Catching a train is now just a few taps away! 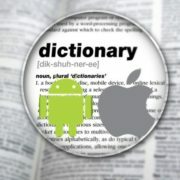 If you are an iPhone user, you ought to be already familiar with this one. This app can be easily called the iOS version of Google Maps. This default installed application works best when you are driving a car. However, this app doesn’t really stand a solid chance in front of Google Maps. This app run by the government is a must if you are travelling in India. With this app, you can explore and experience the very best of the diverse Indian culture and tourism. What sets this app apart from the rest is that it tracks your current location to guide you the thriving spots of a city with the most accurate information. Who has not heard of this app? This all-in-one app just cannot be dispensed with. If you need reviews on any place, just open this app and you will be armed with the latest information. This is your go-to place for all needs be it flight booking, the places serving the most delicious cuisine in the city or knowledge of the most popular tourist attractions in and around a city. Just create an ID to let this app track you and then let TripAdvisor guide your way! The best travel app in India and a way to judge whether a person is a frequent traveller or not is by the presence of this one app on their smartphone. What gives this an edge is a promise of providing all maps, texts, and videos offline. Besides this, it also possesses all the features of the apps that are already there in the market for accessing the world travel guide. Weather is at the very apex when it comes to the factors that may ruin what seemed to be initially a dream trip. This app allows you to see the current weather condition of any place on the globe as well as the forecast for a few months down the line. Due to its absolute necessity, it comes installed by default in certain smartphones like the Samsung Galaxy Series. Its indispensable features make it one of the most downloaded and used apps in the world. Are you on a trip, hungry and really tight on budget? Are you craving to know the way to the best eateries in a city that you have visited for the first time in your life? If your answer is yes to these questions, here is the best travel app in India for food “Zomato” to rescue you from hunger. It’s extremely user-friendly dashboard makes it a piece of cake to browse through restaurants, their menu items and the latest ratings and reviews. Zomato has very wide coverage. Operating in approximately 20 countries including India, Zomato has access to more than a million restaurants in big and small cities. Be it an adventure trip, a romantic getaway or a family vacation, who doesn’t like more entertainment on their trip? Book movie tickets, a local theatres show or get passes for a megastar event in the city using this app and you will never be disappointed. This app is very popular in the country already. 088888 88888 is the answer to all your lifestyle-related queries. This easy and interactive app makes searching for any business faster and more efficient. You can search for all trip related queries like travel agents an tour guides on this app without breaking a sweat. 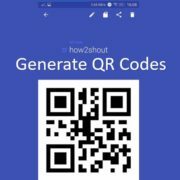 This app even provides you with a few free movie tickets and discount coupons when you install it for the first time. Traveling solo is not only more adventurous but also more challenging. If you are traveling solo, make it a point to have this Travel Solo – Meet New People app installed on your Android-powered device. This app offers a range of options right from “Find Your Soulmate” and “Take a Trip” to “Unique Travel Ideas”. You can even connect an mingle with like-minded solo travellers across this small world. Traveling in Indian cities can be perplexing even for natives. This app is the answer to all your confusion as it has an exhaustive list of what to do and what to see in various Indian cities. India Travel Guide by Triposo is the best customized mobile application has efficiently substituted heavy guidebooks in the bags of frequent travelers. By bringing all aspects including dining, accommodation, recreation, shopping, routes and weather conditions, this app has become a revolution in itself. The best part of the Triposo travel app is it is available individually for multiple countries and also in one complete travel package app know as World Travel Guide by Triposo. Ministry of Tourism in India has come up with this new venture which has made travel extremely easy by providing an audio guide for a number of tourist places and attractions across India. Its offline option allows you to stick to your tight budget and make the best out of a place without hiring expensive tour guides for the purpose. This app is especially useful for foreigners who have trouble understanding the Indian accent. Again this Trip Planner: Travel App for India launched by the Indian government, this app makes it extremely handy for tourists to guide their way across the tricolour. This app even integrates a travel search engine which makes it access information based on your interests and budget constraints. MakeMyTrip is certainly the most sought-after travel booking site in India. This versatile best travel app in India is available on absolutely every mobile platform. Be it booking the best flight or train tickets or finding the best hotel for your stay, Memetic has the solution to all your travel related queries. Is there any other way to know the nuances and intricacies of a place than interacting with a locality directly? This unique Tripoto Travel app allows you seamless access to itineraries and travelogues by the users themselves. The itineraries and travelogues are enriched with photographs and reviews. In our best travel apps for India list, the Travelkhana Train Food Service is made just for the foodies. It is a 24-hour food delivery app in India with an ever-growing network. Though most of the trains have a pantry available to serve the tourists on board, the food served is not the most delicious. If you want to please your taste buds on wheels, trust Travelkhana. Just enter your PNR number, choose a station and then make a “difficult” choice from a comprehensive menu. You can also track your order and pay online using this travel app. Did you plan your travel at the very last minute and now cannot afford the hiked prices at your chosen place of stay? Oyo not only owns and operates but also aggregates standardized hotel rooms. With around 25000 hotels in more than 250 Indian cities, spotting an Oyo is an amazingly easy task. This Hotel Booking app even ensures the presence of basic facilities like AC, Wi-Fi, clean linen and complimentary breakfast and toiletries kit at unbelievably low prices. Booking.com Travel Deals app will surely get you the best and most reliable hotel booking deals out there. With an extremely easy booking facility, you can even avail the option of paying later at the property. Do you tend to feel homesick while traveling to a new city? Well, worry not for there is an amazing solution to this too. 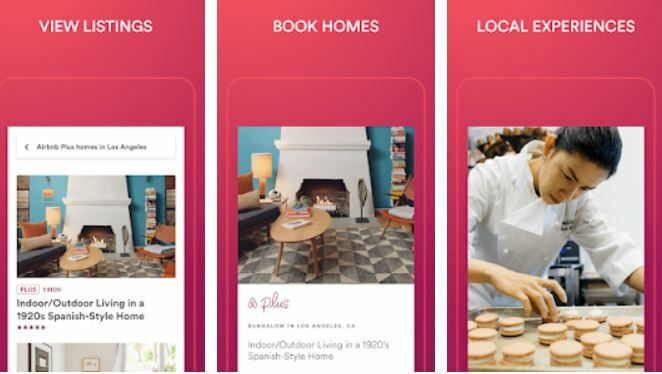 Airbnb one of the best travel apps pitches an offer to stay at someone else’s home who isn’t using it. This is an amazing way to enjoy a comfortable stay in a new city and feel at home. It is one of the most popular choices among international travellers. This article has already talked a lot about traveling to a city but what about intra-city travel? Ola cabs offer easily accessible cab services in the metros and some other cities in India. Now, it even has the option of insurance in case you book an Ola to a railway station and miss your train. 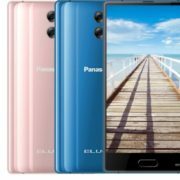 It is affordable and comes up with discount offers and cashback every other day. Ola Share is an environment-friendly way to travel which also gives you an option to interact with new and interesting people. You can also look for some other cab options like Uber and Meeru cabs. If you are tight on budget but still want to make the best out of your bus journey at the cheapest prices, install RedBus to get an extensive list of buses, prices and timings in an absolutely user-friendly interface. Ruto helps to find out nearby Highway Restaurants Hotels Fuel Price. If you are going on a road trip and do not want any hurdles in your enjoyment, install Ruto. Ruto can even plan your stops at necessary establishments like restaurants, fuel stations, ATMs, Hotels, Toll Prices etc. Ruto even provides you an option to have a track of emergency stops like puncture stations, hospitals, and pharmacies. What’s more, you can also avail discounts on eateries on your way. It is currently operational in South India. With over 37000 reviews on the App Store, this app is a one-stop destination for all your needs regarding train travel be it Indian Railway PNR or IRCTC information. This is one app which takes care of the safety aspect of your travel. By sharing your GPS location, you can solve innumerable issues that you might face during your travel in several Indian cities. Be it Android, iOS or Windows, this essential app is available with every phone available in the market. If you don’t want to use multiple apps to find out the hotels & rooms in India; you can go for Alltherooms.com to search accommodation for top Indian cities. It is not an app that’s why it works on any phone in any browser. It allows you to compare prices of accommodations from booking.com, Airbnb to Expedia and even Couchsurfing. If you want to search for the best and the most affordable travel options available at you by looking at a carefully curated combination of break journeys and even interchanges of trains and buses, you can install RouteChef to make this task hassle-free for you. If you plan to travel to remote parts of the country where direct train or bus routes do not even exist or if your busy schedule did not permit you to book your train ticket till the very last minute, RouteChef can help you in finding the most affordable option for your travel. If you are anxious about missing your connecting train or bus, RouteChef even provides you a success % of each train or bus on the option to rest your woes. Whether you are an international traveler with your bags packed to visit India the next time you go on a tour or an Indian citizen who never really attended geography classes, technology has your back in every situation that may occur. India, a land of riddles and mysteries, is mad extremely navigable by these travel apps; those make your travel as easy as a tap on your smartphone. These apps will indeed save a lot of your resources be it money, time or energy. So what are you waiting for? Grab your smartphone, install these apps and pack your bags to have the best holidays of your life in this diverse country. If you think this best travel apps in India list is incomplete and you have some suggestion then the comment box is all yours!! Awsome!!! Good stuff.. Get to know about all the travelling apps and their uses in one place. I couldn’t install the AudioCompas App. on my iPhone. Do I have to be in India in order to download the App?